I recently wrote about a stock that could be a real beneficiary from the move to electric vehicles. You have also heard from Rahul Shah about a stock that could benefit greatly from the 5G revolution. As you can see, disruptive technologies as an investment theme interests me a lot. I like to read a lot on the subject in search of potential stock ideas. Here is an interesting story that I came across while running my search. A couple in the UK was in for a rude shock a few days ago. Their one-year-old toddler said his first word. No, it wasn't 'mama' or 'dada'. The news set off a debate about how kids use technology, and its impact on their young impressionable minds. The first time I heard of 'Alexa' was at a 'Crossword' bookstore in Mumbai. I was lost in the pages of a historical drama when a song blaring near me brought me back to the real world. A customer taking a demo on how to use 'Alexa', was 'commanding' her to play his favourite Bollywood song from the nineties. In case you haven't heard, 'Alexa' is a virtual personal assistant designed by Amazon. It listens to your voice commands and responds accordingly, to help you get the job done. Alexa is Amazon's response to Apple's Siri, Google Now, and other such virtual assistants that can make our lives easier. Such incidents are commonplace now. They are quite telling of how technology, especially artificial intelligence, has taken over our lives. 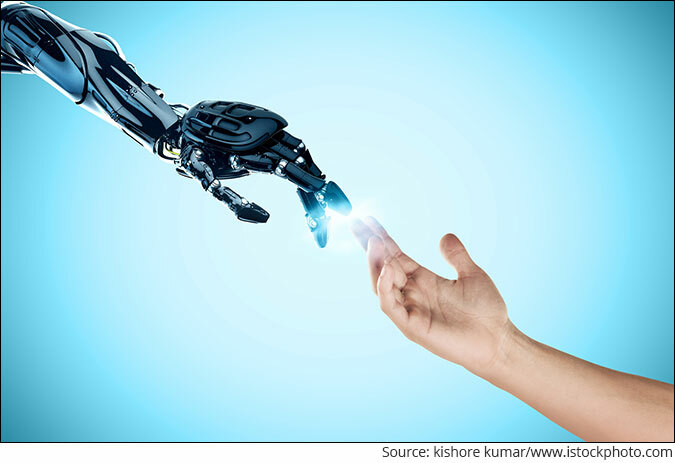 While it has always been a part of the evolution, what is different about the current tech revolution is the pace at which it is happening - and disrupting old ways of living and doing business. As an analyst, I'm always looking out for companies that are pioneers in building or integrating technologies in businesses. Mind you, Indian companies, especially in the listed space, lag behind their global peers when it comes to inventing technologies. Most just follow the trends. However, once in a while, I do come across companies in the small cap space that are exceptions. For instance, two years ago, I recommended a niche small cap company known for being 'the only' and 'the first' company in the world in many areas. It was the only company in its industry with complete backward integration. It even made the world-class robots in-house that were used in the production process... The company has multiple patents in its name. Despite the recent correction in small caps, the stock is up by over 100%. And I believe there is a huge runway ahead. A few months ago, I recommended a textile company that is setting new standards when it comes to using technology to reinvent the business. Amid the recent correction, the stock is down nearly 30% from my recommendation price, thus offering a huge upside in the long term. And while it is a little early to talk in detail about it, I have on my radar a small cap company that I believe will be a key beneficiary of 5G revolution. You may get nostalgic about old ways, curse the way 'virtual' is taking over 'real', or cry foul over the job crisis the tech revolution has brought. None of this going to make any difference to this wave of disruption - in many ways this technology will actually make your life better. So why not embrace the change instead, and look for ways to profit from it? 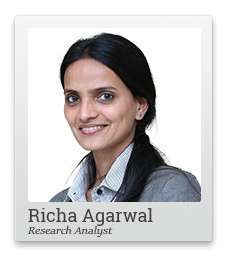 PS: Richa's small cap service stays ahead of the curve when it comes to cutting-edge stocks. In fact, sign up to make the most of these opportunities now in this falling market. Why would you miss this chance - sign up now. Equitymaster requests your view! Post a comment on "These Stocks Are at the Cutting-Edge of Technology". Click here!